Superior accommodations amidst beautiful 'Northwoods' surroundings. Enjoy the comfort of our fully furnished 2 bedroom cottage. Equipped for housekeeping with full kitchen facilities. Cottage consists of living room, kitchen and kitchen eat in area, screened porch and 2 bedrooms. Cottage is equipped with heat, air conditioning, cable television, screened porch, firepit, picnic pavilion, charcoal grill, playground, volleyball/badminton. Rowboat included. Bed Linens are furnished, please bring your own bath and kitchen towels. My family has been going up to the Northwoods of Wisconsin for my entire life. Always was happy to find a cottage that was surrounded by the Northwoods but was also clean. We pride ourselves on offering you our cottage knowing that it would be somewhere we would be happy to put our head down and rest. Whether you want to have a family vacation or a getaway, I believe you'll find our cottage just what you are looking for. Lose yourself in the beauty of the sun setting over the sparkling clear waters of Finley Lake. Sit out at the firepit and roast marshmallows or just enjoy the crackling fire while you view millions upon millions of stars. Go for a row on the lake or go for a swim in the crystal clear water. Maybe just sit on the porch and read a book while listening to the sound of the birds. When you least expect it, glimpse a deer or turkey. 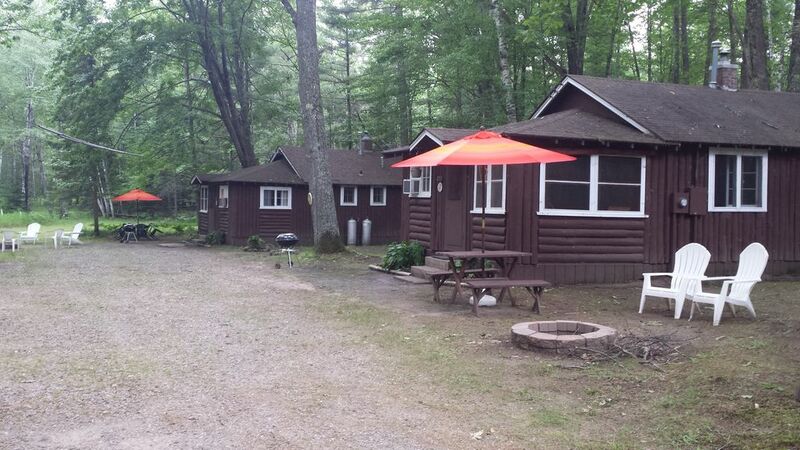 We are a family run resort offering 2 and 3 bedroom cottages located on Finley Lake. Finley Lake is a crystal clear sandy bottomed lake that is exceptional for both swimming or fishing. Our stay at Nolan`s was just what the doctor ordered. The cabin was clean and well stocked with all the essentials. The Nolan family couldn`t have been more accomadating. Deer strolled by early in the morning. If there possibly was a minus to our weeks stay it was the fact the cabin was NOT on the lake shore. Other than that, I would definatlely recommend this place to any one interested. Cabins were clean and cozy! Will definitely stay here again soon.